Samsung Control System provides convenient and centralised control of individual indoor units or entire groups of multiple units. Using a variety of controls, users can centrally manage and control multiple functions for the units. Samsung’s Integrated Management System provides the easiest way to manage a large number of air conditioning units at once. This integrated system helps users control, monitor, manage and maintain every little detail of their air conditioning needs. 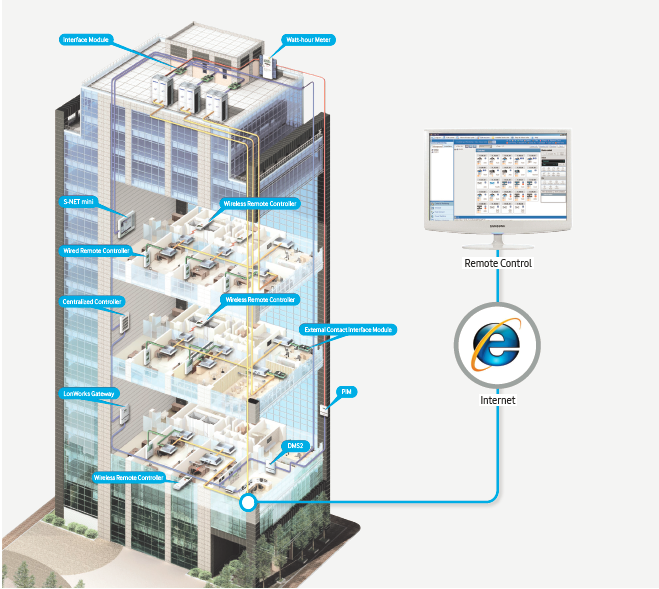 Supporting convenient and optimised management, Samsung’s Integrated Management System is an ideal solution for managing large and middle-sized buildings with many indoor and outdoor units. Samsung Building Management System (BMS) makes it possible to control and monitor the air conditioning network using the remote control and monitoring function. Optimum control keeps the air conditioning system efficient, saves energy, reduces maintenance costs and extends the lifespan of the units. 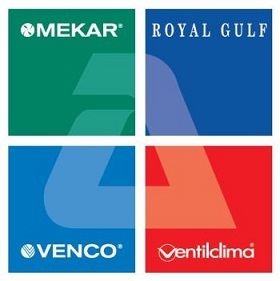 Samsung System Air Conditioner products include a full spectrum of offerings so users can find the most convenient, efficient air conditioning system to suit their needs. Samsung’s control system offers various control options for indoor units. Users can control multiple units individually or simultaneously in groups to optimize convenience. On/Off controllers or interface modules. Control & Monitoring Easy to check each device status using control icon. Individual unit restriction settings. Perfect fits to Aesthetics Different options from conventional type to complete touch type Individual/Group controllers allows you to choose as per interior requirements.